Bloomsbury USA Childrens, 9781619638716, 32pp. George is great at remembering things! When it's time to get ready for school, he remembers to wake up his family, put on his brand-new superhero watch, and tell his daily knock-knock joke. He even remembers to eat breakfast, brush his teeth, and find his backpack! So why does George feel like he is forgetting something? This uproariously funny picture book offers a fresh spin on a morning routine. 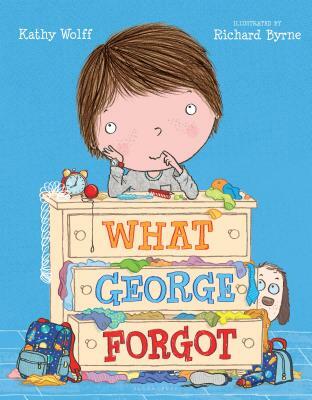 Readers know what George forgot, but will he ever figure it out? Richard Byrne is the author and illustrator of This book just ate my dog!, We're in the wrong book!, and This book is out of control! He grew up in Brighton, England, and worked in graphic design before discovering his true passion in children's books.